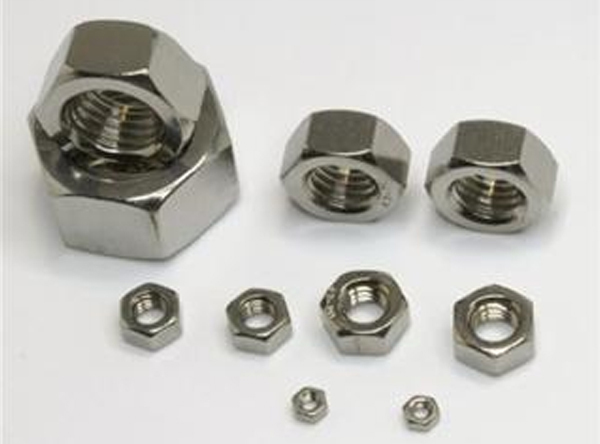 Stainless Steel Alloy 630 Nuts & Bolts, ASTM A564 Type 630 Fasteners, 17-4 PH Nuts, Alloy 630 Nut, ASTM A564 17-4 PH Stainless Steel Fasteners, ASTM A479 Stainless Steel 17-4 PH Fasteners, Manufacturers, Suppliers, Exporters, Mumbai, India. Grade 630 stainless steels nuts & bolts are martensitic stainless steels that are precipitation hardened to achieve excellent mechanical properties. These steel achieve high strength and hardness following heat treatment. The heat and corrosion resistance of grade 630 fittings are similar to that of grade 304 steels. This grades is also commonly referred to as grade 17-4PH. One of the key benefits of this grade is that it is available in solution treated conditions, at which they can be easily machined and age-hardened to attain high strength. The age treatment of grade 630 nuts & bolts is carried out at low temperatures, to avoid significant distortion. Therefore, this grade is used for applications such as the manufacture of long shafts that do not require re-straightening after heat treatment. The properties mentioned below pertain to commonly available grade 630 bar products in ASTM A564. The specifications may not be similar to other forms such as forgings and plates.